A fantastic evening of translation thanks to Il Punto! Italian Cultural Center and Caffè Musica. 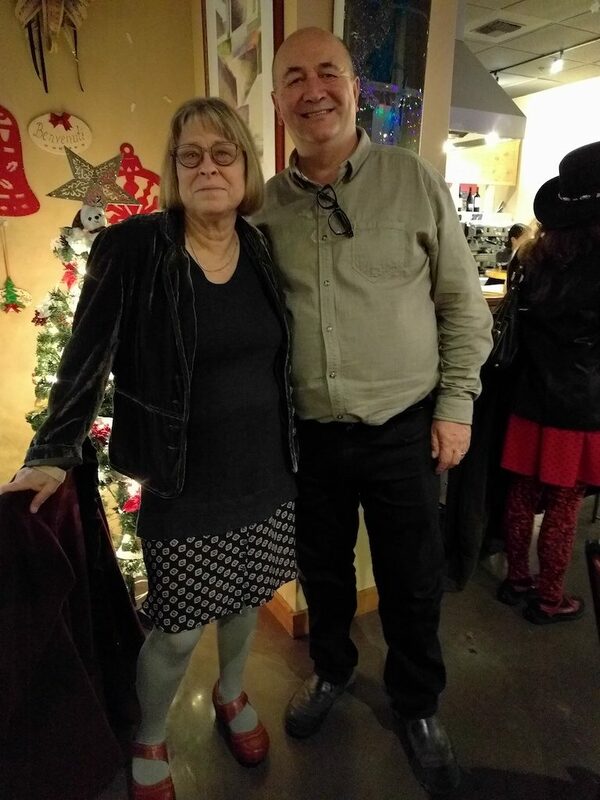 Translator Deborah Woodard and actor Riccardo Pieri reunited for an expanded evening of reading and experimentation of Amelia Rosselli’s Diario Ottuso | Obtuse Diary. This is a new translation of Rosselli’s experiments with prose and was done with Roberta Antognini and Dario De Pasquale. We captured about half the reading and despite the quality at the beginning, think that anyone who is doing translation and then needing to present it in public would find this interesting. As Deborah would probably say, it helps to have a playful and inventive actor with you! Thanks Riccardo! Be sure to click through the to the notes in YouTube if you’re interested in what segments of the text they are working with. It’s our first translation project! 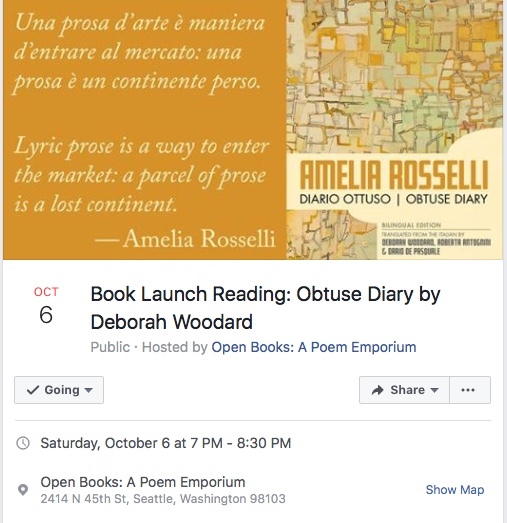 And we could not be more excited and thankful to be working with Deborah Woodard, Roberta Antognini and Dario De Pasquale to bring out their translation of Amelia Rosselli’s Diario Ottuso. Read more about the book at the Open Book’s facebook event. 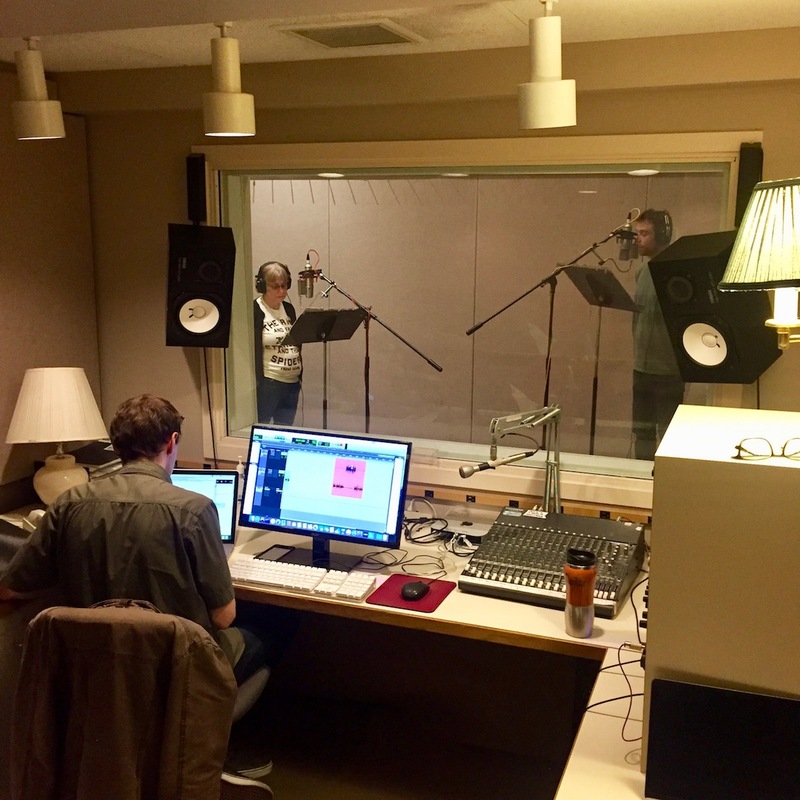 We had an interesting morning at Jack Straw recording selections from our forthcoming translation of Amelia Rosselli’s “Diario Ottuso” or “Obtuse Diary”. Translator, Deborah Woodard, read the English version while translator, Dario De Pasquale, read the original Italian. Our book will ship with over 40 minutes of audio and will be available later this fall. Running a bit behind, but trying to get it on press this month! 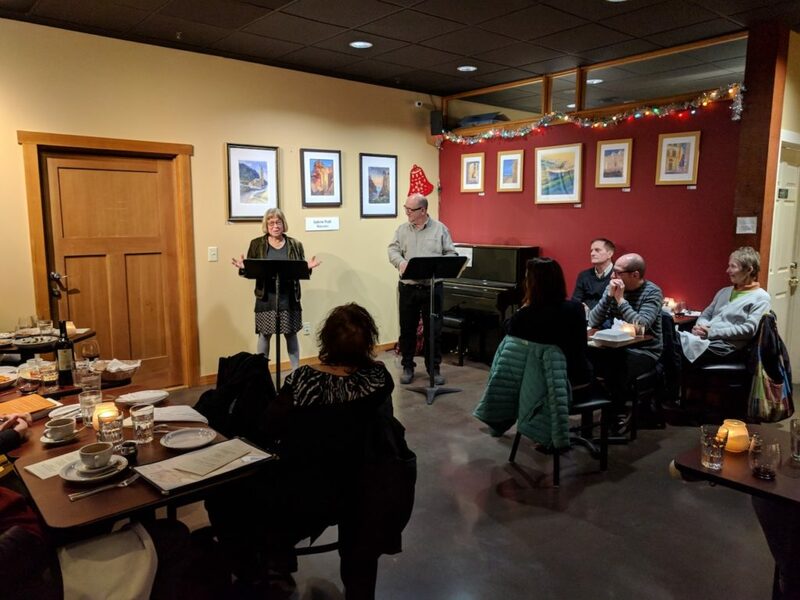 Listen in as they read a section from “First Italian Prose”. My favorite part of the session was watching Dario get quite tongue-tied with Rosselli’s difficult syntax and unusual constructions. You’ll love this audio and be sure to check out our other audio here. Learn more about Amelia Rosselli at Poetry Foundation or at Wikipedia.